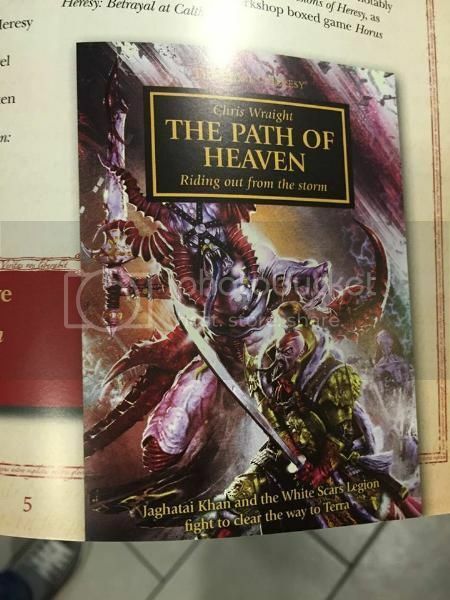 Sigh, please let The Path of Heaven and Grey Talon be novels. No more novellas. I want some real novels. PIck up Pharos. I think you'd like it a lot. 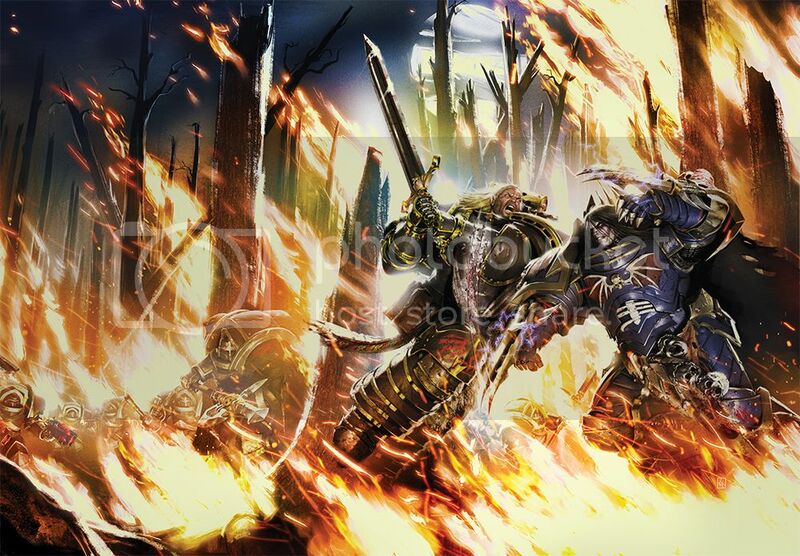 A good amount of Night Lords coverage. Already read it. It was good, and I did like the Night Lords coverage. Kellenkir and Kellendvar were the best characters in my opinion, though Krukesh was disappointingly bland and Saturday-morning-cartoon-villainy. But I want more actual novels. We've had two this year, Deathfire and Pharos. It used to be we could get three to four in a year, but instead this year we've had a slew of supposedly Limited Edition novellas instead of novels, which to me is a poor trade. For those of us who want real books, not electronic, we've only had 1 novel in 2015. I'm a bit peeved about this 'early release' of the e-book version... anyone know how long we're going to have to wait for the real thing? Yeah, I'd prefer more novels too. It's possible that the main HH authors (Dan, Graham, Aaron) are just busy with other things. Dan obviously is with things outside of BL. Dan and Aaron have also both released 40k things recently. Sounds like they're just taking a breather from larger HH projects. I'm sure things will pick up eventually. revelation wrote: It's possible that the main HH authors (Dan, Graham, Aaron) are just busy with other things. Dan obviously is with things outside of BL. Dan and Aaron have also both released 40k things recently. Sounds like they're just taking a breather from larger HH projects. I'm sure things will pick up eventually. It isn't so much the small number of novels that bothers me. Hell even two a year is awesome compared to most series that release once a year at best and once every year and a half to two years usually, and sometimes (Kingkiller Chronicles, Song of Ice and Fire, etc) even longer. What bothers me is that the Limited Edition novellas, which were originally touted as being used to tell events that were not critical to the main story and that the reader would not need to read to enjoy. It seems that lately those are all Black Library want to publish, and these novellas are increasingly becoming more and more important to the wider story, culminating in the famous Battle for Alaxxes being reduced to a novella rather than getting the novel it deserved. We've had four of these so-called LE novellas this year alone, that is twice the number of HH novels. When the Limited Editon outnumber the regular edition, somebody has f**ked up. Black Library need to get back to what made them great, actual novels and actual series that focused on expanding the 40k universe and not plugging model kits. Also i'd actually forgotten about Dan Abnett. I wonder if Penitent and Bequin #3 will ever actually be made, or if BL will just cancel Bequin and write off Pariah as non-canon. Why would you say that? That seems a bit extreme. Hmmm well I have heard a bit of low level noise across various sites based on a "quote" from Gav Thorpe where he indicates that changes are coming for BL and GW. 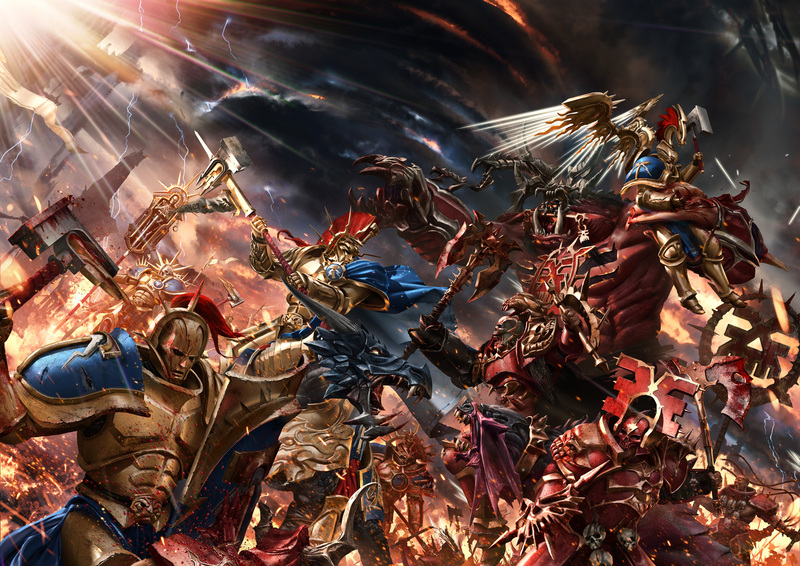 As I understand it there will be a new GW publishing arm that focuses on close game tie in (table top campaign stories etc that also focus on new kit etc). BL will go back to where it was in its heyday (my word) and expand/flesh out the setting. I guess The Beast Arises series does support that. Perhaps we will eventually get to see a series set during The Apostasy and other key eras? I expect that will depend on the success of TBA series. It would also mean, I truly hope, that Abnett's Bequin books will indeed eventually come out (personally I have no reason to think BL would not publish them anyway.... The issue is getting Abnett to write them amongst all his non BL commitments). Duke_Leto wrote: Hmmm well I have heard a bit of low level noise across various sites based on a "quote" from Gav Thorpe where he indicates that changes are coming for BL and GW. 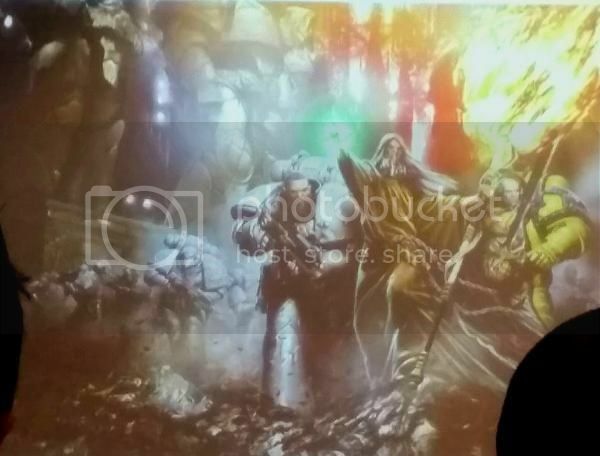 As I understand it there will be a new GW publishing arm that focuses on close game tie in (table top campaign stories etc that also focus on new kit etc). BL will go back to where it was in its heyday (my word) and expand/flesh out the setting. Hopefully this is true because it makes a lot of sense. I don't mind that GW wants some fiction that strictly serves as tie-in for minis and table top stuff as long as it's not at the cost of less restrictive fiction that serves to break new ground and expand the background lore. There's room for both. As far as Dan Abnett's stuff. He doesn't strike me as the type of person that would suddenly stop contributing to a universe and franchise that he's put so much time and energy into throughout his career and that he obviously has a great passion for. I have full confidence that he's working on the Bequin trilogy in some capacity even if it's only inbetween all his other commitments outside of BL. Hopefully we see it sooner than later, but if it's at the cost of quality, I'd rather wait patiently. The Gav quote I've seen is on this forum, have a look in the Freelance Authors Required thread, Gav's comment 1st December is the one I mean. revelation wrote: As far as Dan Abnett's stuff. He doesn't strike me as the type of person that would suddenly stop contributing to a universe and franchise that he's put so much time and energy into throughout his career and that he obviously has a great passion for. I have full confidence that he's working on the Bequin trilogy in some capacity even if it's only inbetween all his other commitments outside of BL. Hopefully we see it sooner than later, but if it's at the cost of quality, I'd rather wait patiently. As a selfish BL (HH and W40k) fan the worst thing that could have happened was Abnett getting involved with Marvel. Personally I have never been into super heroes and such so Marvel has no appeal to me. I want my Grimdark! I think Batman is interesting and certain aspects of X-Men, but yeah I'm pretty much with you on the super heroes thing. Not to mention that Marvel has completely over saturated the super hero market. I like seeing writers like Dan be successful, I just wish he had more time for the grim dark 40k/30k stuff. I'm sure he's doing what he can. Lord of the Night wrote: We've had four of these so-called LE novellas this year alone, that is twice the number of HH novels. When the Limited Editon outnumber the regular edition, somebody has f**ked up. Black Library need to get back to what made them great, actual novels and actual series that focused on expanding the 40k universe and not plugging model kits. This is probably not the best thread to continue this discussion, but I think it's worth pointing out that the "limited edition" part of the release refers to the print run of the individual novellas, not to the number of different novellas being released. Which is not to say I disagree with the sentiment behind it: i.e. that there are too many novellas being released now (at too high a price) relative to the novels. Also please mind the language. There will undoubtedly be a story from James Swallow in there, but that's an anthology not a novel.